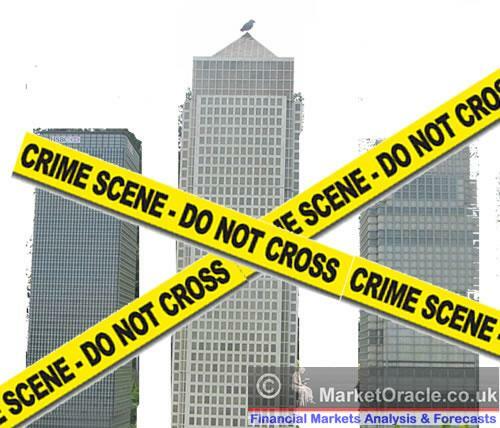 A veritable crime wave1 has invaded the City of London, where millionaire investment bankers cook the books for billionaire clients and bilk the Treasury to pay their fines and flout the Law. Courses in business ethics are obligatory at Oxford and Cambridge since it has become standard operating procedure for mega-swindlers to plead guilty, to pay a fine and avoid jail and to solemnly promise to never, ever, flout the law… until the next mega-deal. 1.Fight Racism! Fight Imperialism (October-November 2012) p. 1, 3. 2. Financial Times, “Global Prosperity Insight”, Oct. 3, 2012, p. 5. 3. Financial Times, Oct. 6, 7, 2012, p. 4. 4 FIRE, shorthand for the parasitic troika Finance, Insurance and Real Estate.